Yesterday was a fantastic day. I spent the first half of the day on a Habitat for Humanity build with the board and staff of the Greater Nashville Realtors. It was a day full of amazement and I thought I would share some of the highlights with you. First, we began the day with a slab of concrete. It wasn’t much to look at, though it had a lovely setting that backed to some woods. Surrounding our slab were several stacks of manufactured walls. These walls were built offsite using the same techniques and materials as any other home. Because they are built in a factory, they are made to exact specifications. I could not believe how well they fit together. 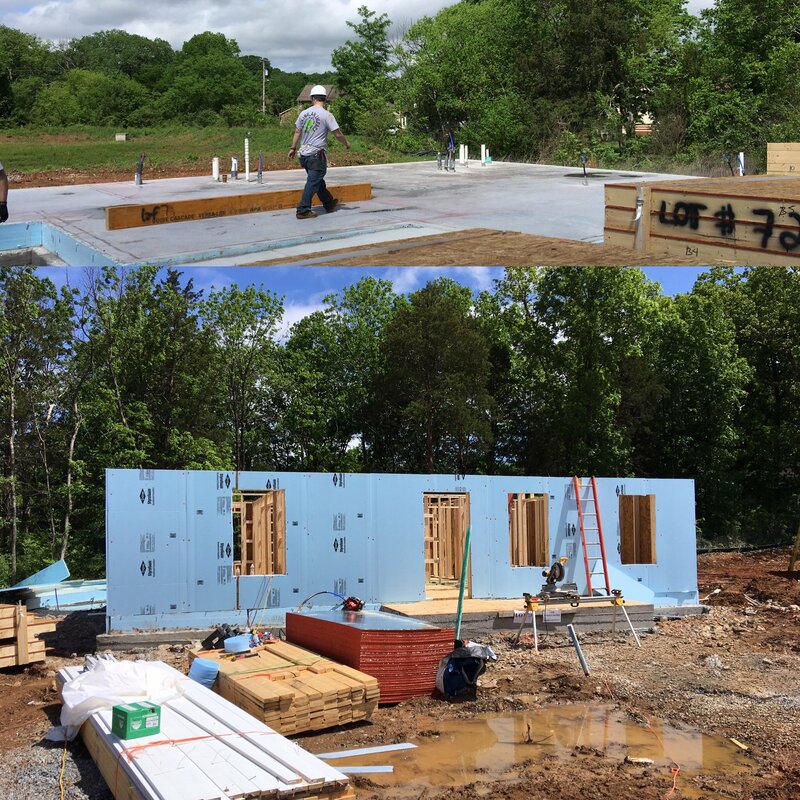 Second, we started with a blank slate, and by lunch time all of the exterior and interior walls were in place and the foam insulation was installed on the exterior of the home. It’s amazing to me that a few dozen people (most with no experience) framed a quality home in one day. Third, Habitat for Humanity builds these homes with energy efficiency in mind. They said the monthly utility bill will average $90/month. Last, I got to spend a few minutes with the family that will own this home when completed, Eyob, Nigisty, and Selam. Before coming to the US, they were refugees in Africa for three years. Their gratitude, enthusiasm and willingness to work hard with us was the best part of the day. It made me think of life in the United States long before my time. When neighbors would gather together for a “barn raising.” Even though they would build a barn in just a few days, it was both hard work and fun. That’s exactly what I experienced yesterday. Good people coming together to help a neighbor and build a community. I hope that the rest of my life is filled with days like this. The Daily Deal in Nashville is this updated cottage in Inglewood [East Nashville] and listed for less than $310,000.